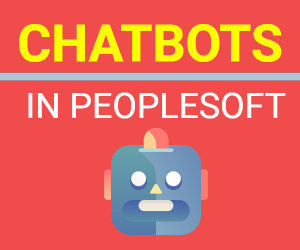 In last few years, PeopleSoft technology has evolved a lot with addition of new tools, techniques and processes. If you haven’t been paying attention and are still working on old PeopleTools then you’re missing a lot on these exciting new features such as Fluid, Classic Plus, PUM , Elastic search etc. Introduction of all these new features has made working in PeopleSoft exciting again. In this post, we are going to briefly discuss about new terminology which are used in PeopleSoft underlying technologies. Kibana is an open source analytics and visualizations platform, to monitor and provide analysis on Search Framework and Elasticsearch. In PeopleTools 8.57, Search Framework uses Elasticsearch 6.1.2 and Kibana 6.1.2. Kibana is a Web application and works with Elasticsearch. Kibana provides visual reports in the form of charts, tables, etc. based on queries that you set up on Elasticsearch indexes. Hiera is the config file for your Puppet code. Puppet’s primary strength is in reusable code. But code that serves many needs has to be configurable — site-specific information should usually be in configuration data, rather than in the code itself. Read more about Hiera here. YAML (YAML Ain’t Markup Language) is a human-readable data serialization language. It is commonly used for configuration files, but could be used in many applications where data is being stored (e.g. debugging output) or transmitted (e.g. document headers). 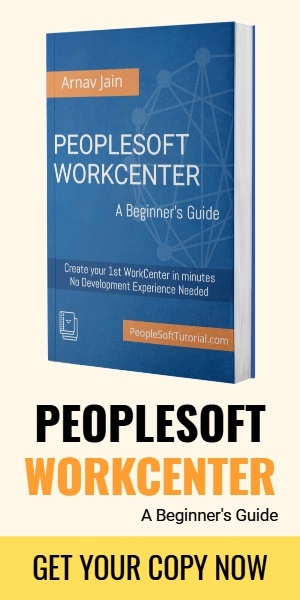 In PeopleSoft, YAML configuration files are used by PeopleSoft DPKs for deployment of necessary PeopleSoft components. You can make modifications to .yaml files to adjust input provided to DPK scripts that uses the YAML file. Example of one such file is psft_customizations.yaml. Read more about YAML here. Did we miss any term that you think should have been included in above list.. Drop a comment below.